Stuffed Fables is a unique adventure game in which players take on the roles of brave stuffies seeking to save the child they love from a scheming, evil mastermind. Players roll and assign color-coded dice to perform a wide variety of actions, from daring melee attacks, to leaping across conveyor belts, or steering a racing wagon down a peril-filled hill. 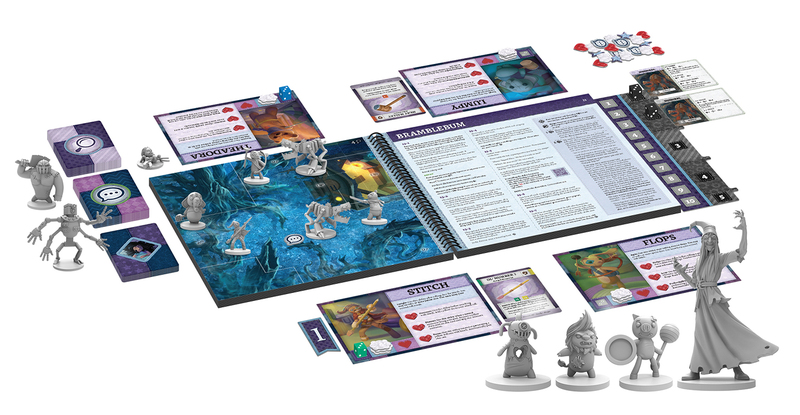 Stuffed Fables delivers an exciting narrative adventure driven by player choices. Players explore a world of wonder and danger, unlocking unique discoveries as they interact with the story. Stuffed Fables is ideal for families, as well as groups of adults who haven’t forgotten their childlike sense of wonder.